The RM Auctions classic car sale at Monterey in California achieved the highest price ever paid for a road-going car and the highest sales total ever. The annual classic car auction in Monterey by RM Auctions saw the highest total ever achieved for a collector car auction as well as the highest price ever paid for a road-going car, which also was the second highest price ever paid for a car at auction. A 1967 Ferrari 275 GTB/4*S N.A.R.T Spider achieved $27,500,000 while the combined 120 vehicles offered grossed $125 million. In total, 26 cars exceeded a million dollars. The RM Auctions 2013 Monterey classic car auction on August 16 & 17, 2013 became the highest grossing collector car auction ever when 87% of the 120 cars on offer sold for a combined $125 million. 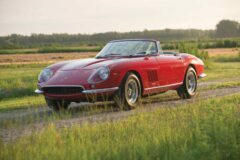 At the Monterey auction, 14 cars set benchmarks for individual models or categories but none more impressive than the $27,500,000 achieved by a 1967 Ferrari 275 GTB/4*S N.A.R.T Spider. This was not only the most expensive Ferrari ever sold but also the highest price ever paid for a road-going car. Only the 1954 Mercedes Benz W196R Formula 1 racing car sold in July 2013 for $29,650,000 ever sold for more at public auction. See Most-Expensive Road-Going Car Ever for more on this very special Ferrari. 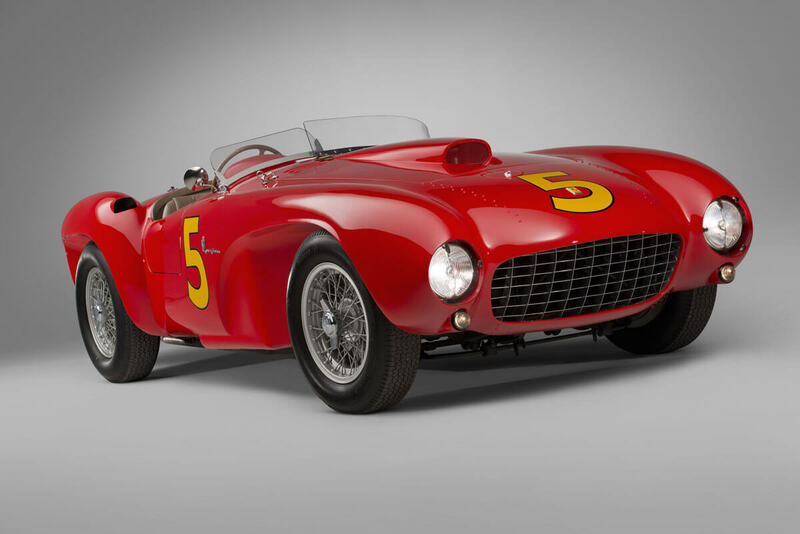 Half (13) of the 26 million-dollar-plus cars at the RM Auctions classic car sale in Monterey were Ferraris including the second most expensive car at the auction – a 1953 Ferrari 375 MM Spider that achieved $9,075,000. This Ferrari, one of only 12 375MM Spiders ever built, belonged to gentleman driver Jim Kimberly and is finished in his unique “Kimberley Red” paint. 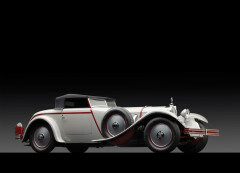 The third and fourth places were taken by two remarkable pre-War Mercedes Benz cars. A 1928 Mercedes-Benz 680S Torpedo Roadster sold for $8,250,000 while a 1939 Mercedes-Benz 540K Special Roadster achieved $7,480,000. The 1928 Mercedes-Benz 680S Torpedo Roadster is one of only three short-windshield examples every built and the only known survivor. The meticulously restored Mercedes, the 2012 Pebble Beach Best of Show winner, was shipped directly to New York from Europe and spent its entire life in the USA. The no less desirable 1939 Mercedes-Benz 540K Special Roadster had a more interesting history. The 540K was completed only days before the outbreak of the Second World War in Europe and may have been one of the last 540 cars built. After the war, the car vanished until it was discovered in 1962 in the Soviet Union by a Swedish reporter, Alf Johansson, in the garage of a Russian general. Johansson acquired the Mercedes and find the only way to export the car was to simply drive it over the border to Sweden. It is believed that the 26,000 km on the odometer is the accurate mileage for this beautiful classic car. Cars from the 1950s and 1960s were again the biggest earners at the RM Auctions Monterey sales in 2013. However, three Ferraris from the 1990s also breached the dollar mark. 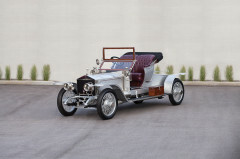 The oldest car on the list is a 1911 Rolls-Royce 40/50 HP Silver Ghost Roadster that achieved $1,017,500. 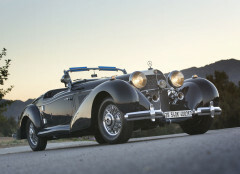 See also Classic Cars for other recent auctions, including the Gooding & Co 2013 Auction at Pebble Beach.